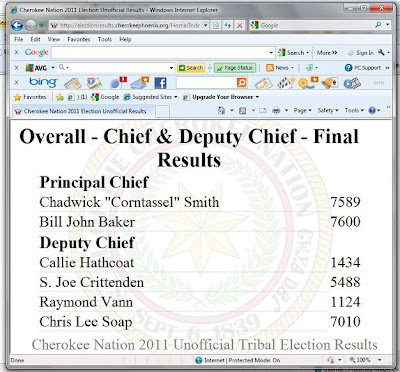 The unofficial results are in and the Cherokee Nation Election Commission says the Cherokees have elected Bill John Baker as their new chief. Baker defeated three term incumbent, Chad Smith, by 11 votes. 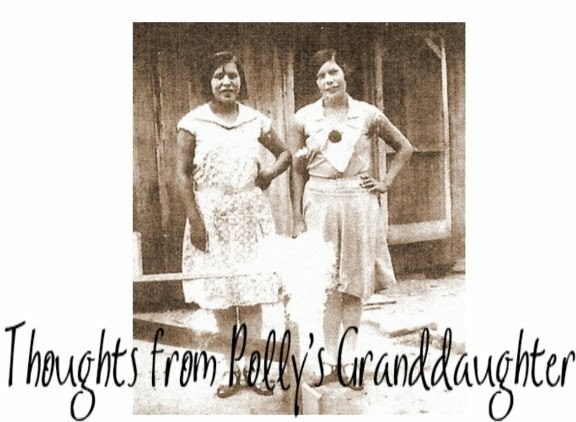 Read the full story in the Cherokee Phoenix - here. "I’m humbled and honored to be the new Chief of the Cherokee Nation. I want to thank everyone who supported me. Your prayers, hard work and dedication made the difference. I think it's fair to say that every vote counted. We've come far, but we have far to go. 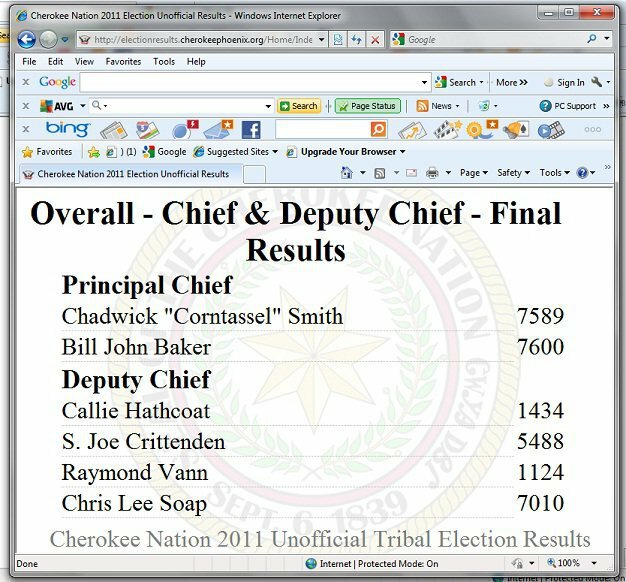 I congratulate Chief Smith on a spirited and hard fought campaign and thank him for his years of service to the Nation. There are issues on which we don't see eye to eye but he's a Cherokee so he is my brother. I look forward to working with him and his team on a smooth transition. 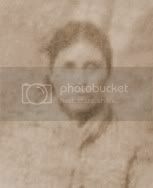 To all my fellow Cherokees who supported Chief Smith, I ask that you give me a second look and work with me to take our Nation from good to great. I need the energy, thoughts and prayers of every Cherokee to make our Nation as strong as it can possibly be. Every day on the campaign trail I have said “we all come from one fire.” Now that the election is over, I hope we can all join together to keep our fire burning brighter than ever before. God Bless America and the Cherokee Nation."